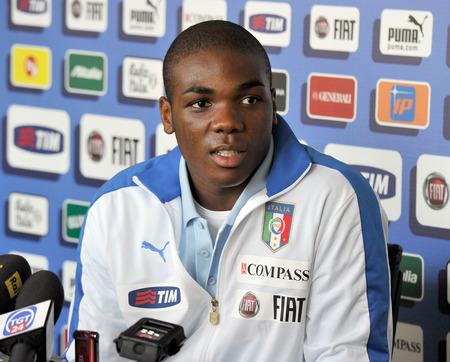 After being name in the starting eleven, Torino defender Angelo Ogbonna looks set to make his full debut for Italy in Wednesday's friendly against the USA. After initially being called up to the Italy squad as a late replacement in June 2011, the talented defender has improved markedly since that call up. Here is a look at how Ogbonna's consistent performances in Serie B means that he is on the verge of being a part of Cesare Prandelli's squad for Euro 2012. In the article that I wrote regarding Ogbonna's first call up in June, I referred to the fact that despite having obvious potential, he still had a few weaknesses in his game - primarily that his desire to play the ball out from the back could often lead to losing possession, and on occasion, picking up needless yellow cards. However, this season I would genuinely find it difficult to criticise any part of Ogbonna's game, as he has been one of the main reasons that Torino are on track for a return to Serie A. Whilst I appreciate the fact he is playing at a lower level and against lesser quality forwards, his improvement in less than one season has been very noticeable and makes me believe he will continue to improve regardless of the opposition. Luckily the statistics also support the view that this season has been by far Angelo's best in a Torino shirt, and it is not just my Granata-tinted glasses. At this stage of the 2010/11 season, Ogbonna had received six yellow cards - so far this campaign, he has received just one. Whilst this season's Torino team is much better than its predecessor and has had far less defending to do, this stat also suggests that he is timing his challenges much better. As I aluded to previously, Torino have enjoyed a good season so far, and one of the reasons for that has been the defence. Ogbonna has been a part of the joint best defence in Serie B that has conceded just eighteen goals in 28 matches. Whilst Valerio Di Cesare and Kamil Glik have both impressed when called upon in central defence this season, it is Ogbonna who has shined. Thus highlighting that the added responsibility of being given the captain's armband in the absence of the out of form Rolando Bianchi doesn't seem to have had any detrimental effects. Despite plying his trade in Serie B, Cesare Prandelli has noticed Ogbonna's talent, and if he continues to improve as quickly as he has done in the past nine months, he will probably earn himself to move to a team playing in the Champions League - despite recently signing a new contract. If he is included in the Italy squad for Euro 2012, he could miss Torino's run in as the Serie B regular season does not finish until May 27th. However, lets hope that won't be a problem, and by the time Cesare Prandelli names his final 23 man squad, Angelo will have already done his part in helping Torino regain promotion to Serie A. For a couple of weeks I've been wanting to add some more content to the blog, and one idea that I considered was that of player profiles. However, instead of focusing on the more distinguished players in Torino's history such as Mazzola, Meroni and Pulici, I've decided to focus on the lesser known and in some cases lesser talented players who managed to achieve something memorable in a Torino shirt. So welcome to the first edition of Torino's 'Cult Heroes' and the first entry is perhaps best remembered for a goal that didn't actually count : Rachid Arma. Moroccan striker Rachid Arma signed for Torino on 31st August 2009 as the club looked towards the lower leagues in order to gain an immediate promotion back to Serie A. Arma had scored fourteen goals for Lega Pro side Spal in the previous campaign and it was hoped that he could replicate that form at a higher level. Arma made his debut for the club against Reggina in October as he came on to replace Rolando Bianchi, and the majority of Arma's twelve appearances came from the substitutes bench. Despite struggling mid-season, Torino somehow managed to regain form at the right time to finish fifth and qualify for the playoffs. After beating Sassuolo in the Semi Final, Torino would play Brescia over two legs, with the winner gaining promotion to Serie A. It was in the first leg of the final at the Olimpico that Arma thought that he had scored a vital goal, only for it to be harshly disallowed by the referee. After coming on as an 82nd minute substitute with the game scoreless, Arma latched on to a long pass in the 93rd minute and volleyed the ball into the net. However, unfortunately for Torino, the referee disallowed the goal for what I assume was the he slightest tug of the defenders shirt. Had that goal been given, it would have given Torino a narrow advantage (and the momentum) to take into the 2nd leg and that could have been enough to send Toro back to Serie A at the first attempt. Instead, the 0-0 scoreline meant that it was Brescia who were in the ascendancy, and thanks a 2-1 victory at the Stadio Mario Rigamonti, it was Brescia who won promotion. Ironically, it was in fact Rachid Arma who scored Torino's late consolation goal in that game - his only goal for the club. That match was Arma's last for the club, and after short spells at fellow Serie B teams Vicenza and Cittadella, Arma returned to Spal at the start of this season and has already scored 13 times. Unfortunately for Torino (and Rachid), that goal did not count, but I think his contribution to that dramatic playoff game makes him eligible to be a Torino 'Cult Hero'. If you have any suggestions of any players who should appear in future editions of 'Cult Heroes' you can contact me via the comments section or on Twitter. Torino lost their first game of 2012 as they fell to a narrow 1-0 defeat against an in-form Brescia side on Sunday afternoon. Giampiero Ventura brought in Giuseppe Vives to reinforce his midfield for this difficult looking away game, as Toro lined up in a 4-3-3 formation. Riccardo Meggiorini was rewarded for his winning goal against Sampdoria as he replaced Rolando Bianchi upfront, whilst Matteo Darmian and Kamil Glik came into the defence. The game started quietly with both teams reduced to long range half chances, Alessandro Parisi shot over the bar for Torino, whilst Jonathas shot wide for the home side. Riccardo Meggiorini, the hero from Monday night's game, almost scored his second goal for the club when he was played through by Vives' chipped pass, but his half volley went narrowly wide. And it was Meggiorini who came close again moments later after he was put through by Mirco Antenucci's subtle pass, but the former Novara striker's shot went wide of the post again. Torino continued to create opportunities at the start of the second half, and once again it was Meggiorini who had the chance - and this time he definitely should have scored. Full back Matteo Darmian's first time cross found the unmarked striker, but somehow his header failed to find the target from just six yards out. And Torino were made to pay for that miss, as with 25 minutes remaining the home side took the lead in bizarre style. Captain Marco Zambelli did well down the right flank, and his low cross was turned into his own net by the unfortunate Matteo Darmian. However, that goal sparked the away side into life and they came so close to scoring an immediate equaliser. Brescia keeper Michele Arcari tried to claim a cross from the right, but his poor punch fell to Giuseppe Vives whose lob hit the post. Mirco Antenucci nearly scored on the follow up, but his shot was deflected over the bar. Alessandro Sgrigna and Rolando Bianchi came off the bench as Torino went looking for an equaliser, and those two players nearly combined to get it. Sgrigna's scuffed shot was diverted goalwards by Bianchi, but the ball was magnificently cleared off the line by former West Ham defender Fabio Daprela. From the resulting corner, Kamil Glik came close to scoring his first goal in a Torino shirt, but his powerful header was spectacularly saved by Arcari. Francesco Benussi produced a good save in the closing stages to prevent Brescia doubling their lead, but this defeat means that Torino have not won away from home since November. However, Torino certainly had their chances and deserved at least a point from the game. As Sassuolo could only draw on Saturday, Toro remain top of the league, but will be looking to improve their away from at the earliest opportunity - hopefully at Grosseto on Saturday. Torino will travel to Brescia on Sunday afternoon looking for their fourth consecutive victory, after beating Vicenza, Nocerina and Sampdoria in recent weeks. This match was originally scheduled to be played at the start of the month, but was postponed due to poor weather. Although Toro have been impressive of late, some fans may be concerned that they have not won away from home since beating Reggina in November, and will be looking to rectify that statistic. There are injury doubts regarding winger Alen Stevanovic who limped off against Sampdoria, and that could mean that Cristian Pasquato is included in the eighteen for the first time. Riccardo Meggiorini could also come into the team following his winning goal against Sampdoria at the expense of Rolando Bianchi, who despite impressive performances, can not end his goal drought. Brescia have recovered after a poor start to the season and are currently in eighth place and are looking towards gaining a playoff position. They are unbeaten in their last eight matches, winning six of them -although they have not managed to score in their last two home games. Torino returned to the top of the Serie B table following a deserved 2-1 victory against Sampdoria on Monday night. There were two changes from the team that beat Nocerina last Saturday, as Valerio Di Cesare and Nnamdi Oduamadi came into the starting eleven. Torino started the game nervously and it was the away side who had the first opportunity of the match as Nicola Pozzi wriggled past two challenges, but his shot was easily saved by Francesco Benussi. At the other end it was Alen Stevanovic who came closest for Toro, but his attempt went wide. After twenty minutes Torino took the lead thanks to some fantastic play down the right wing by the impressive Stevanovic. His cut back found Mirco Antenucci, and although his first effort inadvertently hit strike partner Rolando Bianchi, he was on hand to score at the second attempt. After technically getting an assist for the first goal, Bianchi came so close to getting on the score sheet himself but his powerful header from Danilo D'Ambrosio's cross rattled off the crossbar. Torino started the second half confidently and looked the more likely to get the second goal of the match. Mirco Antenucci had a good chance to score again following Bianchi's dummy, but his shot went harmlessly wide. However, with twenty-three minutes remaining, Sampdoria got an equaliser that was very much against the run of play. Danilo D'Ambrosio gave the ball away cheaply, and that allowed substitute Juan Antonio to fire a shot into the bottom corner from 20 yards. Toro coach Giampiero Ventura was positive in his substitutions and brought on strikers Riccardo Meggiorini and Alessandro Sgrigna to try and find a winner. And with four minutes of normal time remaining, Torino got the winning goal that their performance had deserved. Mirco Antenucci crossed from the left hand side, and although it looked to be simple clearance for Samp defender Daniele Gastaldello, he missed his kick, and that allowed Meggiorini to volley home despite still being on the ground after sliding in for the original cross. It may not have been the best goal of Meggiorini's career, but he showed great awareness to score his first goal for the club. This victory means that Torino have now gone seven matches unbeaten and are now two points clear at the top of the table. Torino have the opportunity to go two points clear at the top of the Serie B table if they can beat Sampdoria on Monday night. With promotion rivals Pescara and Sassuolo only being able to draw this weekend, Toro will be looking to take advantage, but will be aware that Sampdoria should not be underestimated. Despite being many peoples favourites for promotion this season, i Blucerchiati have struggled to adapt since their relegation and currently sit in tenth place, eight points from the playoffs. Incredibly, Sampdoria have actually lost less matches than both Hellas Verona (2nd) and Pescara (4th) but have drawn far too many games, and their tally of 13 is the most in the division. One of their defeats came at the hands of Torino at the Luigi Ferraris back in September, as goals from Sergiu Suciu and Rolando Bianchi gave the Granata a 2-1 victory. However, this season Sampdoria have actually fared better away from home, as five of their eight victories have come on the road, including an impressive victory at Padova in January. Giampiero Ventura, a former Sampdoria player and manager, has a number of options ahead of the match, and may chose to revert to the 4-3-3 formation that has previously been successful. Cristian Pasquato could make his debut, whilst Rolando Bianchi will be looking to end his goal drought, that by the time of kick off will have lasted 128 days. The 1927 Scudetto – Should it belong to Toro? When the Calciopoli scandal of 2006 led to Torino’s cross-city rivals Juventus being stripped of two scudetti, it was the first time an Italian championship had been revoked since Toro were given the same punishment in 1927. Whilst even Juventus’ official website continues to maintain that they have been champions of Italy on 29 occasions, the Torino hierarchy do not seem to have made any serious attempt to reclaim the ‘missing championship’ of 1927. This article will examine whether Toro should try to claim this title as their eighth scudetti or whether it should remain unassigned. In the 1926/27 campaign, Torino thought they had achieved their maiden Serie A title, after finishing above Bologna and Juventus in the final standings. However, weeks after being crowned champions, rumours regarding a possible scandal surfaced in numerous newspapers regarding the validity of Torino’s victory. Speculation centred around Torino’s 2-1 victory against rivals Juventus on June 5 1927 and more specifically, whether Juve left back Luigi Allemandi had been bribed in order to ensure that Toro came out of the derby match with a victory. 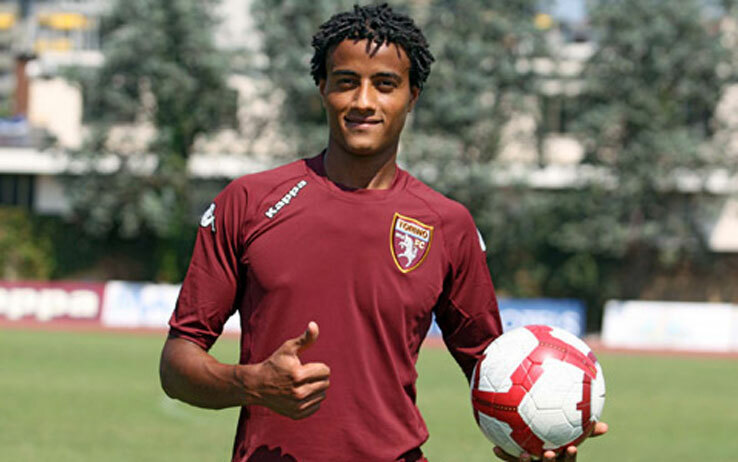 It was alleged that Torino official Dr Nani had agreed to pay Allemandi 50,000 lire if his performance enabled Torino to win the match. However, strangely enough, Allemandi was one of Juventus’ best performers in the match, and because of this, Dr Nani refused to pay him the full amount of money that they had previously agreed. This disagreement between the two men was apparently overheard and this led to the scandal being exposed. Despite the evidence that apparently implicated Dr Nani being described as ‘unreliable’ by many commentators since the event, Torino had their first scudetto revoked by the authorities. So the question is - should this championship be reassigned to Torino? Whilst there is a lack of evidence regarding the scandal, it is believed that Dr Nani acted independently of both the club and the President in his attempt to bribe an opposition player. This raises the question whether the players and fans of Torino should have been punished because of the actions of one ‘maverick’. The Torino squad of 1927 did not ask for Dr Nani to bribe their opponents and therefore it is certainly unfair that their achievements on the field in the 1926/27 season have not been recognised. If Allemandi’s involvement directly affected the result of the match, (e.g. he scored an own goal) then it could perhaps be argued that the authorities were justified in revoking the scudetto from Torino. However, the fact that Allemandi was apparently the best player on the pitch on that day suggests that even if he was bribed (a fact he always denied) it was ultimately irrelevant in terms of the result. After the scandal, Torino did not have long to wait for their first championship as they won the scudetto the following season. Both Nani and Allemandi were given life bans from the sport, although Allemandi’s did not last long, and he was even a part of Italy’s victorious World Cup squad in 1934. Whilst I may be biased, you will probably see from this article that I wholeheartedly believe that Torino should be awarded the 1927 scudetto. Given their current predicament, it is very unlikely that Torino will ever be challenging for another scudetto in my lifetime, thus making it even more important that fans attempt to claim one they ‘technically’ won. I highly doubt that after 85 years, the title will suddenly be reassigned to Torino, but I will leave it to those who will read this article to decide whether it should, if not unofficially, be classed as Torino’s 1st scudetto. 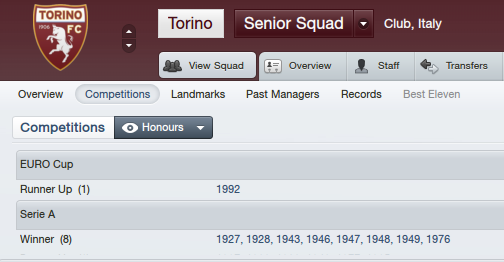 To leave this article on a lighter note, some fans may be comforted by the fact that the researchers of the popular computer game ‘Football Manager 2012’ do not seem to have received the memo regarding the 1927 scudetto being revoked, as demonstrated by this screen shot. I would like to thank Simone Moricca whose article in Italian about the 1927 Scudetto encouraged me to write about this topic. You can follow Simone on Twitter here, and his original article can be found here. Torino moved back up to the automatic promotion places in the Serie B table after a 3-1 victory against bottom side Nocerina. Kamil Glik and Danilo D'Ambrosio were given starts in the back four, whilst Alen Stevanovic, Migjen Basha and Rolando Bianchi regained their places in the starting eleven as Toro lined up in a 4-4-2 formation. Nocerina, who are desperately trying to avoid relegation had an early opportunity to take a shock lead after Francesco Benussi carelessly gave the ball away, but Luigi Castaldo's attempt to lob the ball over the keeper from 40 yards failed as the ball went over the bar. And with only eight minutes on the clock, the away side were made to pay for that miss as Torino took the lead thanks to Danilo D'Ambrosio's glancing header from Alessandro Parisi's corner. That goal was the first time that Torino have scored in the opening fifteen minutes of a game this season, and it was D'Ambrosio's second goal of the season, as he also scored a headed winning goal against Reggina in November. Rolando Bianchi, who still hasn't scored since mid-October had a great chance to extend Torino's lead as he was put through by Mirco Antenucci, but the striker's heavy touch meant that it was an easy take for the Nocerina keeper. However, on the half hour mark, Toro did get their second goal as Giuseppe Vives received the ball on the edge of the area, and his low shot from eighteen yards out found the bottom corner of the net. Two minutes into the second half, and Toro had their third goal as Mirco Antenucci's delightful through ball put Alen Stevanovic through on goal, and the winger finished it well. However, five minutes later, Nocerina showed that the game was far from over as Luigi Castaldo headed home Lorenzo Laverone's cross to give the away side a glimmer of hope. On reflection, the goal was easily avoidable and probably has to go down as a mistake by new keeper Benussi, who came off his line to try and claim the cross, but he failed to get there in time. Torino could have made the margin of victory more convincing in the last half an hour as Giuseppe Vives had two great chances to add to his goal, but that would have been harsh on Nocerina who kept trying until the final whistle. This result temporarily put Torino top of the table (until Sassuolo's victory this morning) but it does keep them in the automatic promotion places ahead of the big game against Sampdoria next Monday night. After last weekend's match against Brescia was suspended due to snow, Torino are back in action on Saturday afternoon against bottom of the league Nocerina. Salvatore Masiello and Cristian Pasquato could make their first appearances for Torino, whilst captain Rolando Bianchi is expected to start, after starting the last couple of games on the bench. As illustrated by their league position, Nocerina have struggled since being promoted last season and have not won since October when they beat Sampdoria 4-2. However, in their last match they recorded a creditable 1-1 draw against Bari, and if they are to have any chance of surviving the drop, their results will have to improve quickly. Torino moved to within just one point of leaders Pescara with a 1-0 victory at a snowy Stadio Olimpico on Tuesday evening. Toro made just the one change from the side that drew with Varese in similar conditions on Saturday, as Nnamdi Oduamadi was given a rare start on the left wing in place of Alen Stevanovic. It was the visitors who should of taken the lead in the opening stages but former Toro striker Elvis Abbruscato's shot was straight at Francesco Benussi. At the other end, it was the lively Nnamdi Oduamadi who created the Granata's first chance as he beat two defenders before forcing Alberto Frison to make a good save. The Nigerian winger continued to be a threat on the left wing, and he could of had a penalty when his shot hit the hand of Alessando Bastrini, but it would have been harsh as the Vicenza defender was looking the other way. Torino almost made an ideal start to the second half, as within 30 seconds, Riccardo Meggiorini had a great chance to score his first goal for the club. Strike partner Mirco Antenucci broke free on the right and delivered a fantastic cut back for Meggiorini, and from only eight yards out he failed to score as his shot was saved by Frison. Whilst it was a great save by the Vicenza keeper, the on loan striker should have still found the target. Five minutes after that miss, Meggiorini was replaced by Rolando Bianchi, and the Torino fans gave their captain a great ovation after he turned down a move to Catania to stay at the club. With 25 minutes remaining, Toro finally got their breakthrough as substitute Alessandro Sgrigna found Juan Surraco on the right wing, and his cross was diverted into his own net by the unfortunate Denis Tonucci. The home side had their chances to extend the margin of victory as Alessandro Sgrigna, Rolando Bianchi, Mirco Antenucci and Giuseppe Vives all came close to scoring a second goal. It was Vives' effort - a chip from 20 yards out that was tipped over the bar by Frison, that came closest to finding the target. Whilst it may not have been the most impressive performance, Torino recorded a much needed victory, and with a number of players who could still come into the team (Pasquato and Guberti), they are in a good position to mount a serious promotion challenge in the remaining seventeen games of the season.